ADD Honey Badger Chase Rack - FREE SHIPPING! Next time adventure calls, answer with the confidence knowing you’re ready for anything with an Addictive Desert Designs HoneyBadger Chase Rack. 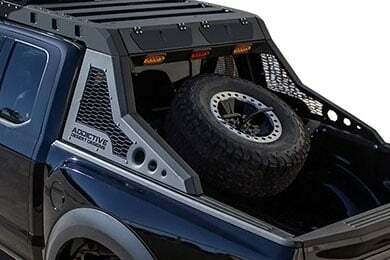 With a modular 3-piece design, the HoneyBadger is the ultimate addition to your truck’s utility. Starting with the premium steel HoneyBadger Chase Base Rack you can customize your off-roader with just what you need to tackle even the toughest terrain. 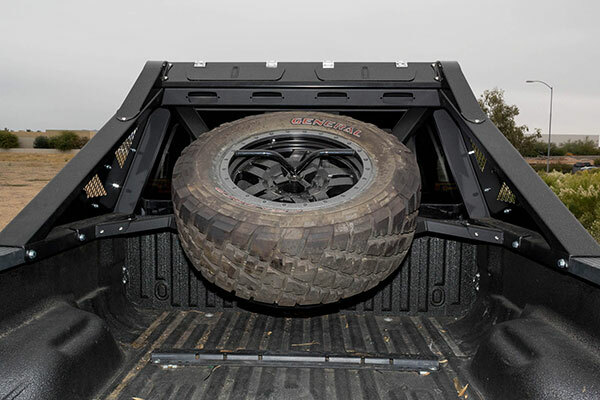 Adding the bolt-on tire carrier lets you load a spare tire up to 40” in your bed leaving plenty of room for storage underneath. 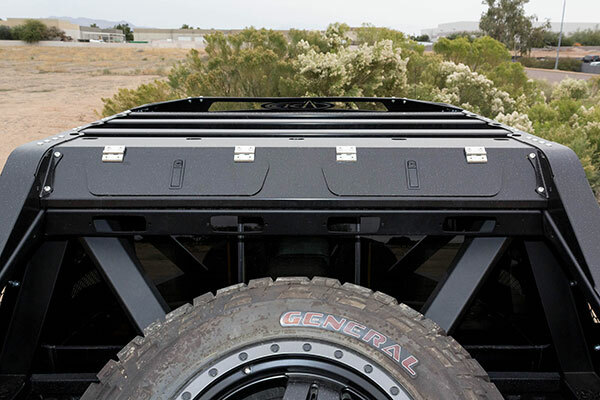 And let’s not forget the aircraft-grade roof rack module that boasts two locking toolboxes on the rear and dual 50” Rigid LED mounts on the front and multiple Rigid SR-Q flush mounts on the sides and rear. 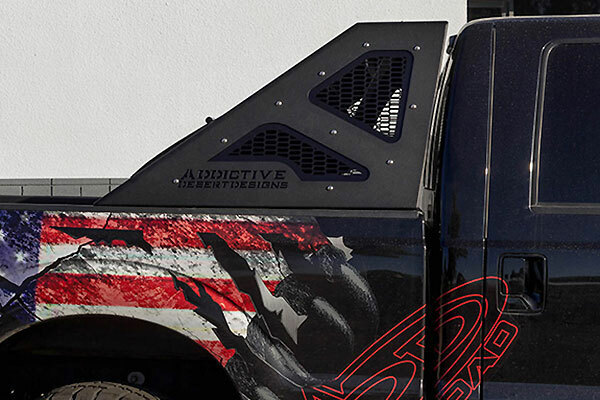 Take your truck to the next level with an A.D.D. HoneyBadger Chase Rack, backed by a 1-year warranty. Reference # 753-512-186 © 2000-2019 AutoAnything, Inc.